Calling all UK business! – the annual awards season is under way and the pressure is on to get your entries researched, written and submitted. 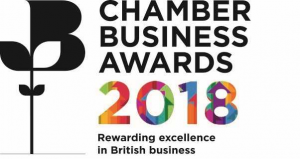 We are excited to announce the launch of one of the biggest annual award events of the year – the 2018 Chamber Business Awards. This event is a true celebration of excellence in British business, making it is one of the most contested and coveted in the country. From all corners of the United Kingdom, organisations of different sizes and sectors can enter an array of prestigious regional and national awards bringing the recognition that comes with them. This year, the winners of the Business of the Year category will be invited to open the London Stock Exchange which coincides with the opening of next years awards programme in March 2019. If that’s not enough, winners will also be given the opportunity to attend a one-day communication skills and impact course with Rada in Business. Entries are open until 29th June 2018 and regional winners will be announced on 24th September 2018 with a gala awards dinner on 29th November 2018 in London. Regional winners announced: 24th September 2018 . Feel free to contact our expert awards division for information on awards in your business sector and for creating your Awards Strategy.